Consumer Scoreboard shows where consumer conditions are best in Europe Brussels, 29 May 2012 – The spring Consumer Scoreboard published today on the occasion of the European Consumer Summit 2012 shows that in 2011 for the second year running after the fall in 2009 there were improvements in many EU countries. Consumer conditions are measured e.g. by consumer trust in authorities, retailers and consumer organisations, in the safety of products, the effectiveness of solving disputes and satisfaction with handling complaints. The Scoreboard also shows that consumers still cannot shop as easily across borders as they can at home, thereby missing out on greater choice and savings, with potential gains of as much as EUR 204 billion per annum. The Consumer Scoreboard provides evidence and alerts about how the single market is performing for EU consumers in terms of choice, prices and protection of consumer rights. The spring edition (‘Consumer Conditions Scoreboard’) looks at the integration of the retail market and national conditions for consumers. It includes the Consumer Conditions Index which is calculated based on the quality of regulation concerning consumers and businesses, the effectiveness of resolving disputes and handling complaints, consumer trust in authorities, retailers, advertisers and consumer organisations, and the degree of trust in the safety of products on the market. This data allows Member States to benchmark their performance over time. The Scoreboard is mainly based on surveys of consumers and retailers, Eurostat data as well as information received from Member States. The 2011 index shows that consumer conditions have improved for the second year running after the fall in 2009. Consumers enjoy best conditions in Luxembourg, UK, Denmark, Austria, Ireland, Finland, the Netherlands, Belgium, Germany, France and Sweden (Member States above the EU average). The Scoreboard shows that while e-commerce continues to grow, it remains largely domestic despite the clear potential in terms of choice and savings across borders. Efforts must be stepped up to exploit the full benefits of a truly single digital market. Consumers can be more confident shopping from other EU countries, as their worries about foreign sellers are shown to be largely unfounded and cross -border e-commerce appears to be at least as reliable as domestic e-commerce. The findings suggest a key role for more effective information about existing cross-border advice, enforcement and redress mechanisms (network of national enforcement authorities, and the European Consumer Centres, which provide free help and advice to consumers shopping in the Single Market). Many consumers do not know their rights. Only 12% of respondents EU wide could answer questions about their consumer rights in relation to guarantees, cooling- off periods and what to do if they receive goods they never ordered. Many businesses were not aware of their legal obligations towards consumers. For example, only 27% of retailers knew how long consumers have to return defective products. Illegal business practices persist. Since 2010, more EU consumers and retailers have come across advertisements and offers which were misleading and deceptive, or even fraudulent and many more received goods they never ordered. 7 years after the adoption of the Unfair Commercial Practices Directive this is a cause for concern and must be addressed more actively. Authorities must enforce the rules which already exist to protect consumers, particularly vulnerable consumers, against such practices; consumers must be empowered to spot and avoid them; and it must be possible to have faster, easier and cheaper solutions to disputes with traders, both online and offline (see IP/11/1461). The Commission will look into ways to step up enforcement in order to strengthen consumer confidence in cross-border transactions. 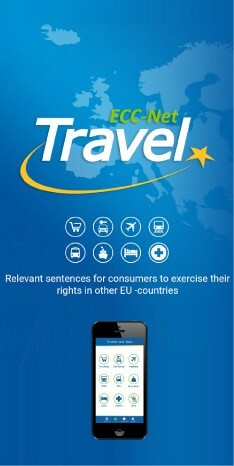 This will be set out in a report in 2012 on the implementation of the Unfair Commercial Practices Directive. The new EU Consumer Agenda 2014-2020 aims to empower consumers and build their awareness and confidence by giving them the tools to participate actively in the market, to make it work for them, to exercise their power of choice and to have their rights properly enforced. Once adopted, the proposals currently on the table for mechanisms to solve disputes with traders without having to go to court (Alternative and Online Dispute Resolution – ADR/ODR), will help European consumers to sort out their problems, wherever and however they purchase a product or service in the EU.